A new Interreg NWE project, Ocean DEMO, has been officially launched on 22 January. 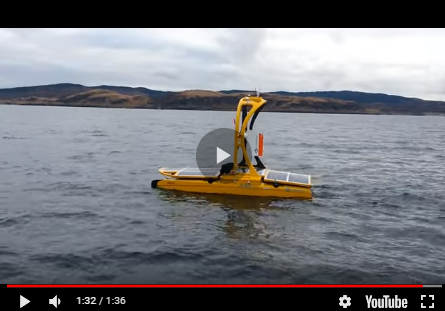 Ocean DEMO will provide funding to developers of marine renewable technologies to test their products or services in real sea environments, specifically targeting multi-machine ocean energy installations. This will allow developers to move closer to the market by demonstrating their technologies at full commercial scale. Ocean DEMO will release the first call for applications this year and devices will be installed from 2020 to 2022. Ocean DEMO follows on from the highly successful FORESEA project, which provides free access to open sea test centres for single machine testing. FORESEA has helped prove the tremendous potential of ocean energy, with 19 technologies deployed and more to come this year. Examples like Orbital Marine Power, who generated over 3GWh of electricity in a year, proved that the technology works and can be part of a renewable energy mix in Europe. "We’re delighted to be able to continue the work we started with FORESEA. We were able to demonstrate a wide range of technologies throughout the ocean energy supply chain thanks to Interreg’s support and the efforts of all the project partners," said Oliver Wragg, commercial director at EMEC. "With Ocean DEMO, we will be able to scale up technologies to pilot farm scale. This will reduce technical risks, minimise environmental impacts and improve the economic competitiveness of ocean energy production."